Constant Contact – this service is used for delivery of email updates and newsletters. ConvertKit stores your name and email address for purposes of delivering such communications. AdThrive – this service is used to manage our display advertisements. To provide personalized advertising options, AdThrive may track your IP address or location. This information is not stored on the Website. Except when required by law, Once Upon a Chef will not sell, distribute, or reveal your email addresses or other personal information without your consent; however, Once Upon a Chef may disclose or transfer personal information collected through the Website to third parties who acquire all or a portion of our business, which may be the result of a merger, consolidation, or purchase of all or a portion of our assets, or in connection with any bankruptcy or reorganization proceeding brought by or against us. From time to time, Once Upon a Chef may use anonymous data, which does not identify you alone, or when combined with data from other parties. This type of anonymous data may be provided to other parties for marketing, advertising, or other uses. Examples of this anonymous data may include analytics or information collected from cookies. Once Upon a Chef, LLC is a participant in the Amazon Services LLC Associates Program, an affiliate advertising program designed to provide a means for sites to earn advertising fees by advertising and links to Amazon.com. As part of this Amazon Associates program, the Website will post customized links, provided by Amazon, to track the referrals to their website. This program utilizes cookies to track visits for the purposes of assigning commission on these sales. On the Website, you may subscribe to our newsletter, which may be used for advertising purposes. All newsletters sent may contain tracking pixels. The pixel is embedded in emails and allows an analysis of the success of online marketing campaigns. Because of these tracking pixels, Once Upon a Chef may see if and when you open an email and which links within the email you click. Also, this allows Once Upon a Chef to adapt the content of future newsletters to the interests of the user. This behavior will not be passed on to third parties. Opt-out – You may opt-out of future email communications by following the unsubscribe links in our emails. You may also notify us at INSERT EMAIL ADDRESS to be removed from our mailing list. Access – You may access the personal information we have about you by submitting a request to INSERT EMAIL ADDRESS. Amend – You may contact us at INSERT EMAIL ADDRESS to amend or update your personal information. Forget – In certain situations, you may request that we erase or forget your personal data. To do so, please submit a request to INSERT EMAIL ADDRESS. The Website does not knowingly collect any personally identifiable information from children under the age of 16. If a parent or guardian believes that the Website has personally identifiable information of a child under the age of 16 in its database, please contact us immediately at INSERT EMAIL ADDRESS and we will use our best efforts to promptly remove such information from our records. From time to time, the Website may post sponsored content from an advertiser. This means that an advertiser, which may be a brand, agency, or influencer network, will contract with Once Upon a Chef to create content featuring certain messages or product placement. Pursuant to the FTC’s requirements, all such advertisements on the Website are clearly and conspicuously disclosed. Even though compensation (e.g., cash, free product, or services) is received for in exchange for this sponsored content placement, Once Upon a Chef gives its honest opinion, findings, believes, or experiences in such content. All views expressed on the Website are those of the content creator. Any product claim, statistic, quote or other representation about a product or service should be verified with the manufacturer, provider, or party in question. Once Upon a Chef has made every effort to ensure that all information on the Website has been tested for accuracy. Once Upon a Chef makes no guarantees regarding the results that you will see from using the information provided on the Website. 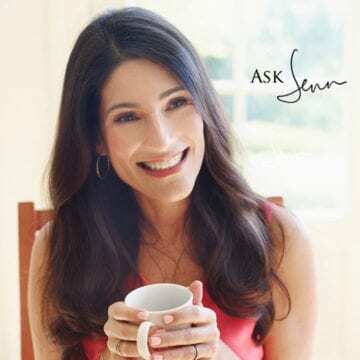 Jennifer Segal is a classically trained chef. She is not a registered dietitian or medical professional. All information provided regarding nutrition on the Website is intended to be used for informational purposes only. Content related to nutrition is not medical advice nor is it intended to replace medical advice. The Website is not intended to diagnose, prescribe, or treat any disease, condition, illness, or injury. Before beginning any diet program, modifying your diet, or making changes to the diet of a child in your care, including following the information available on the Website, you should seek advice from a licensed professional. Once upon a Chef is not responsible for any liability, loss, or damage, caused or alleged to be caused directly or indirectly as a result of the use, application, or interpretation of the nutrition information available on the Website. The Food and Drug Administration has not evaluated the statements contained in any information on the Website. Individual results may vary. The Website regularly publishes content with recipes. All such recipes have been tried and used successfully, but results may vary from person to person. Consult your medical professional before using any recipe if you have concerns about how you may individually react to the use of any particular recipe or ingredient. By voluntarily creating and using any recipe provided here, you assume the risk of any potential injury that may result. Nutritional information related to recipes published on the Website is offered as a courtesy and should not be construed as a guarantee. Nutritional values should be considered estimates only. Varying factors such as product types or brands purchased, natural fluctuations in fresh produce, and the way ingredients are processed change the effective nutritional information in any given recipe. Furthermore, different online calculators provide different results depending on their own nutrition fact sources and algorithms. To obtain the most accurate nutritional information in a given recipe on the Website, you should calculate the nutritional information with the actual ingredients used in your recipe, using your preferred nutrition calculator. The Website was developed strictly for informational purposes. You understand and agree that you are fully responsible for your use of the information provided on the Website. Once Upon a Chef makes no representations, warranties or guarantees. You understand that results may vary from person to person. Once Upon a Chef assumes no responsibility for errors or omissions that may appear in the Website. Unless otherwise stated, Once Upon a Chef owns the intellectual property and rights to all content and material on the Website. Subject to the license below, all intellectual property rights are reserved. Redistribution of content of the Website, unless content is specifically and expressly made available for redistribution. Users are permitted to share content on social media channels, as long as a link to the Website is included. From time to time, the Website will utilize various plugins or widgets to allow sharing of content via social media channels, email or other methods. Use of these plugins or widgets does not constitute any waiver of Once Upon a Chef’s intellectual property rights. Such use is a limited license to republish the content on the approved social media channels, with full credit to Once Upon a Chef. You must not conduct any systematic or automated data collection activities, including, but not limited to scraping, data mining, data extraction or data harvesting on or in relation to the Website without Once Upon a Chef’s express written permission. You must not use the Website for any third-party marketing without Once Upon a Chef’s express written permission. Unless otherwise noted, the design, content and all components of the Website are copyrights owned by Once Upon a Chef or third parties and are protected by United States and international copyright laws and should not be reused or republished without express written permission. Once Upon a Chef’s trademarks and trade dress may not be used in connection with any product or service that is not Once Upon a Chef’s, in any manner likely to cause confusion among consumers, or in any manner that disparages or discredits Jennifer Segal or Once Upon a Chef, LLC. From time to time, the Website will legally utilize trademarks owned by third parties related to Once Upon a Chef’s services. These trademarks are the respective property of their owners. You grant Once Upon a Chef a worldwide, irrevocable, non-exclusive, royalty-free license to use, reproduce, adapt, publish, translate and distribute any content you contribute to the Website. This includes, but is not limited to, text, images, audio material, comments, video material and audio-visual material. This license extends to all known and future media. You also grant Once Upon a Chef the right to sub-license these rights and the right to bring an action for infringement of these rights. Any content you contribute to the site, including, but not limited to text, images, audio material, comments, video material and audio-visual material, must not be illegal or unlawful, may not infringe on any third-party’s legal rights, and must not be capable of giving rise to legal action whether against you or Once Upon a Chef or a third party. Once Upon a Chef reserves the right to edit or remove: (i) any material submitted to the Website; (ii) stored on Once Upon a Chef’s servers; or, (iii) hosted or published on the Website. Once Upon a Chef takes no responsibility and assumes no liability for any content posted by you or any third party. If you send Once Upon a Chef an email, register to use the Website or provide your email to Once Upon a Chef in any other way, you consent to receive communications from Once Upon a Chef electronically. You agree that all legal notices provided via electronic means from Once Upon a Chef satisfy any requirement for written notice. Prior to engaging in any events or commercial transactions with any third parties discovered through or linked on the Website, you must complete any necessary investigation or due diligence. If there is a dispute for any events or commercial transactions with a third party discovered through or linked on the Website, you expressly hold Once Upon a Chef harmless from any and all liability in any dispute. The Website are provided on an “as is” and “as available” basis without any representations or warranties, expressed or implied. Once Upon a Chef makes no representations or warranties in relation to the Website or the information and materials provided therein. Once Upon a Chef makes no warranty the Website will meet your requirements; will be available uninterrupted; timely and free of viruses or bugs; or represents the full functionality, accuracy, and reliability of the Website. Once Upon a Chef is not responsible to you for the loss of any content or material uploaded or transmitted through the Website. The Website is written in English and makes no warranty regarding translation or interpretation of content in any language. ONCE UPON A CHEF WILL NOT BE LIABLE FOR ANY CONSEQUENTIAL, INCIDENTAL, INDIRECT, EXEMPLARY, PUNITIVE OR SPECIAL DAMAGES OF ANY KIND, HOWEVER CAUSED, INCLUDING LOSS OF PROFITS, REVENUE, DATA OR USE, INCURRED BY YOU, WHETHER UNDER THEORY OF CONTRACT, TORT (INCLUDING NEGLIGENCE), WARRANTY OR OTHERWISE, EVEN IF THE OTHER PARTY HAS BEEN ADVISED OF THE POSSIBILITY OF SUCH DAMAGES.